Home » Landmine News » Mine Action News » Uncategorized » 2018 Landmine Monitor Launched! On Thursday, the Landmine Monitor launched the 2018 Report, which marks its 20th anniversary since the Ottawa Treaty in 1997. The Report marks some exciting successes from the past year, yet also a continuing increase in global casualties from landmines and other explosive devices. • Landmines were only used by one state actor, Myanmar, between October 2017 and October 2018. Non-state actors in that same period included groups in Afghanistan, Colombia, India, Myanmar, Nigeria, Pakistan, Thailand, and Yemen. • Landmines and Explosive Remnants of War (ERWs) claimed 7,239 casualties in the last year, down from 8,605 in the previous Report, but still significantly higher than the 10-year average. Casualties occurred in 49 countries, but the majority were the result of continuing conflicts in Libya, Ukraine, Afghanistan, and Myanmar. • 87% of casualties were civilians, and 47% (of those whose age is known) were children. • Several states parties still possess significant landmine stockpiles, including Ukraine (4.4 million) and Greece (643,267). • Two states (Sri Lanka and Palestine) joined the Ottawa Treaty in the last year, bringing the total number of states’ parties to 164. • International donors contributed $673.2 million to mine action, an increase of 39% from the previous year. 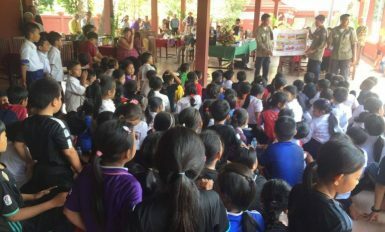 • 58 Cambodians were struck by landmines or ERWs in 2017. Of those casualties, 48 died of their injuries. This is a 30% decrease from the previous year. • The amount of explosive-contaminated land in Cambodia remains ambiguous, since the geography and climate make accurate surveying difficult. 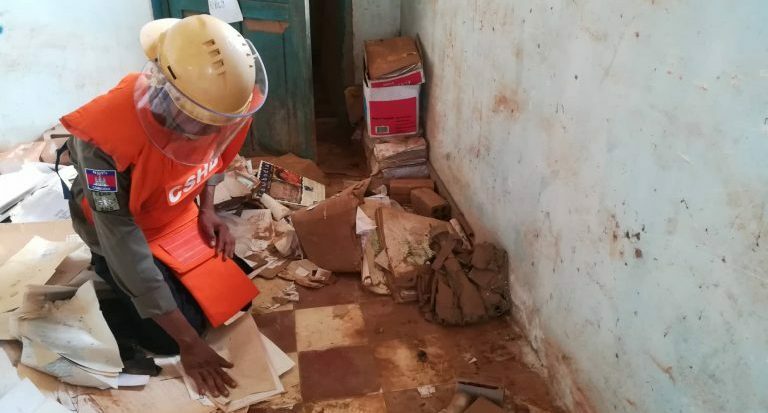 The current total of 941 square kilometres of contaminated land is 5% higher than the 2016 estimate, despite deminers cancelling, reducing, or clearing more than 68 square kilometres of contaminated land. • Cambodia received $13 million in international funding in 2017, a decrease of $20 million (61%) from the previous year. For more information, visit the official Landmine Monitor website.